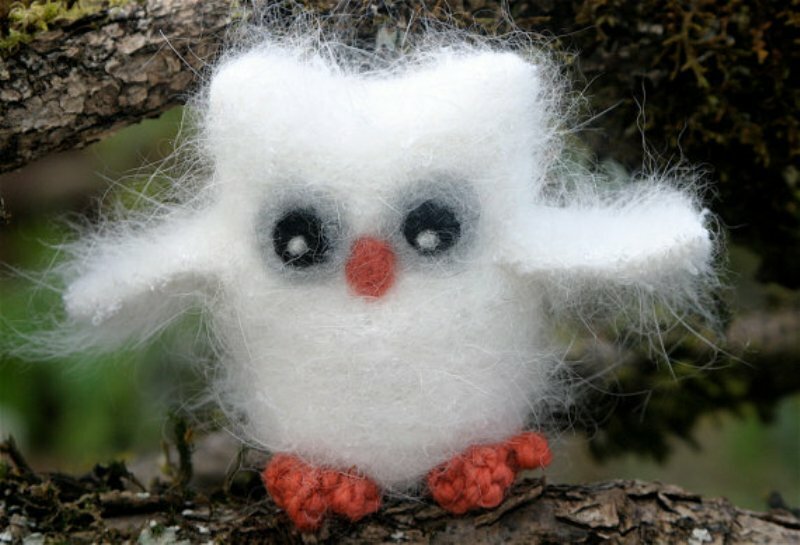 <a href="http://www.etsy.com/listing/73952123/tiny-the-spotted-owl-eco-friendly-felted?ref=pr_shop">Tiny the Spotted Owl</a> is made from super-soft recycled angora wool, making him the perfect cuddle-mate for kids. 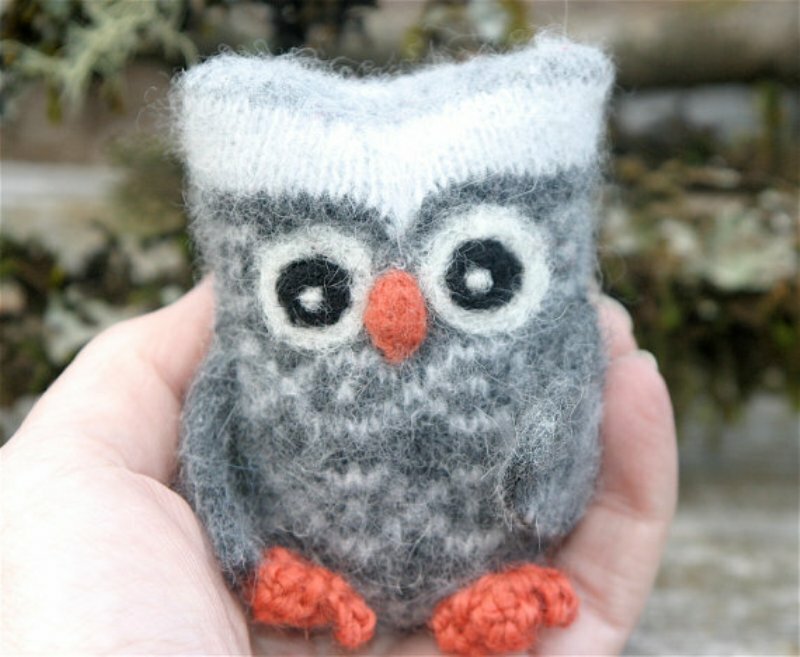 He and his other feathered friends at <a href="http://www.etsy.com/people/woolcrazy?ref=ls_profile">Woolcrazy</a> are looking for new homes. Will you help them find new friends to play with and love them forever? <a href="http://www.etsy.com/people/pogoshop?ref=ls_profile#">Pogo stuffed animals</a> are not new to—in fact, they were voted <a href="http://www.inhabitots.com/announcing-the-winners-of-inhabitots-2009-readers-choice-awards/">Best Green Toy in 2009</a>! But <a href="http://www.etsy.com/listing/74068593/pogo-adam-eco-friendly-stuffed-animal">Adam</a> the frisky little pogo with the red-and-orange striped pullover is new and we'd like to introduce you to him! He's crafted from an upcycled wool sweater, stuffed with sustainable bamboo fiberfill and ready for adventure! 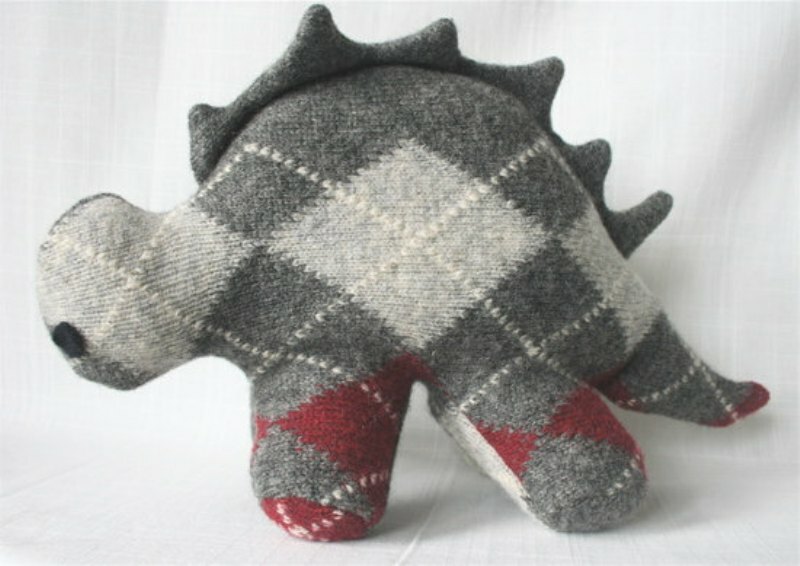 Give a child an <a href="http://www.etsy.com/listing/65032842/eco-dino">Eco Dino</a> from <a href="http://www.etsy.com/people/NobleUpcycling?ref=ls_profile">Noble Upcycling</a> and you're guaranteed that no one else will give them the same thing. That's because each Eco Dino is made with a mix of premium, upcycled, felted wool sweaters that is 100% unique! Repurposing is the name of the game at <a href="http://www.etsy.com/people/mrowe?ref=ls_profile">mrowe's</a> Etsy shop. 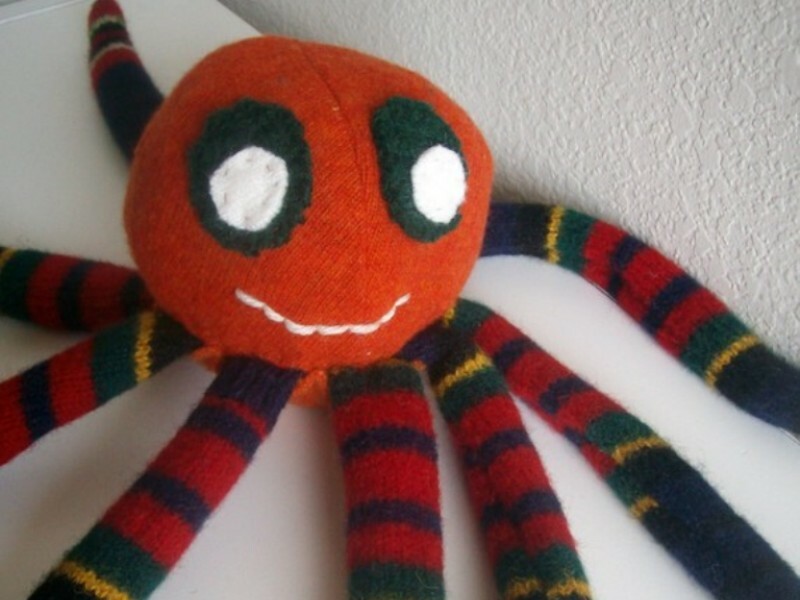 All of her handmade creatures are made from repurposed sweaters and reclaimed fabrics including <a href="http://www.etsy.com/listing/56047662/octavian-octopus">Octavian Octopus</a> with his cute striped tentacles and friendly smile. 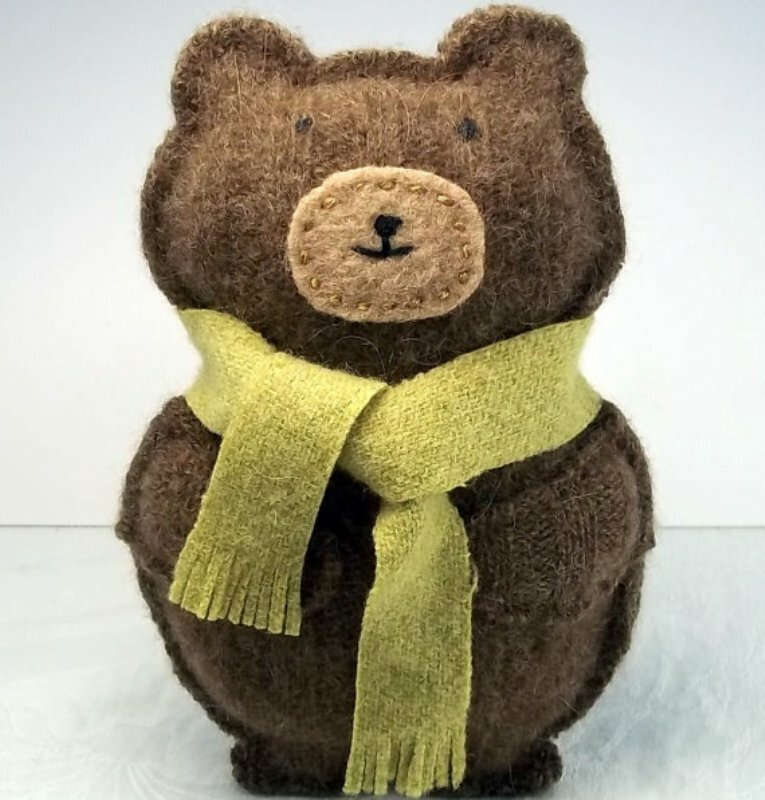 This adorable <a href="http://www.etsy.com/listing/74232622/upcycled-plush-chocolate-brown-bear">chocolate brown bear</a> from <a href="http://www.etsy.com/people/plushpussycat?ref=ls_profile">plushpussycat</a> is not only kid-friendly but he's earth friendly too! Made from a felted lambswool/angora sweater with a recycled chartreuse wool scarf, this little bear is ready to for some serious snuggling! 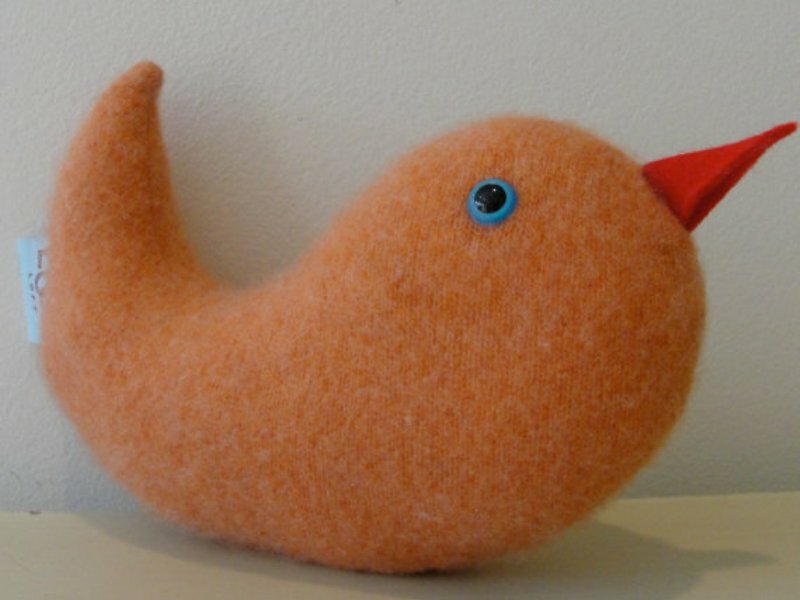 <a href="http://www.etsy.com/listing/72917224/bird-softie-eco-friendly-repurposed-bird?ref=pr_shop">Sherbet the Bird Softie</a> is looking for a new nest! 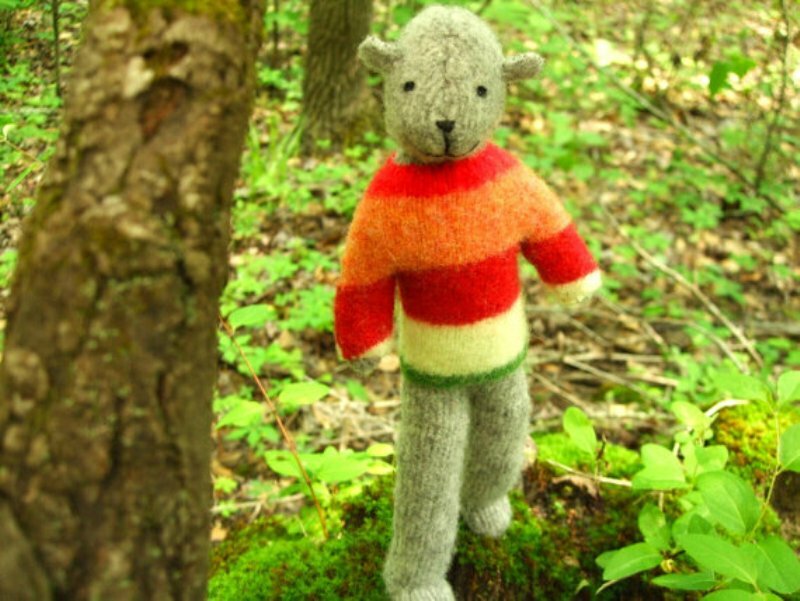 He comes from excellent pedigree - born from a luxurious orange cashmere sweater and crafted with love by Lisa Siebert of <a href="http://www.etsy.com/people/looploft?ref=ls_profile#">loftloop</a>. Sherbet's siblings Dandelion, Tangelo and Fred and a host of other softie friends are available too.